In this section we’ll have a quick look at the state of the law with respect to data and databases, and what you can do to open up your data using readily available public licenses and legal tools. Don’t let any of the following dampen your enthusiasm for data driven journalism. Legal restrictions on data usually won’t get in your way, and you can easily make sure they won’t get in the way of others using data you’ve published. To state the obvious, obtaining data has never been easier. Before the widespread publishing of data on the web, even if you had identified a dataset you needed, you’d need to ask whoever had a copy to make it accessible to you, possibly involving paper and the post or a personal visit. Now, you have your computer ask their computer to send a copy to your computer. Conceptually similar, but you have a copy right now, and they (the creator or publisher) haven’t done anything, and probably have no idea that you have downloaded a copy. What about downloading data with a program (sometimes called “scraping”) and terms of service (ToS)? Consider the previous paragraph: your browser is just such a program. Might ToS permit access by only certain kinds of programs? If you have inordinate amounts of time and money to spend reading such documents and perhaps asking a lawyer for advice, by all means, do. But usually, just don’t be a jerk: if your program hammers a site, your network may well get blocked from accessing the site in question and perhaps you will have deserved it. There is now a large body of practice around accessing and scraping data from the web. If you plan to do this, reading about examples at a site like ScraperWiki will give you a head start. Once you have some data of interest, you can query, pore over, sort, visualize, correlate and perform any other kind of analysis you like using your copy of the data. You can publish your analysis, which can cite any datum. There’s a lot to the catchphrase “facts are free” (as in free speech), but maybe this is only a catchphrase among those who think too much about the legalities of databases, or even more broadly (and more wonkily), data governance. If you’re familiar with how copyright restricts creative works — if the copyright holder hasn’t given permission to use a work (or the work is in the public domain or your use might be covered by exceptions and limitations such as fair use) and you use — distribute, perform, etc. — the work anyway, the copyright holder could force you to stop. Although facts are free, collections of facts can be restricted very similarly, though there’s more variation in the relevant laws than there is for copyright as applied to creative works. Briefly, a database can be subject to copyright, as a creative work. In many jurisdictions, by the “sweat of the brow”, merely assembling a database, even in an uncreative fashion, makes the database subject to copyright. In the United States in particular, there tends to be a higher minimum of creativity for copyright to apply (Feist, a case about a phone book, is the U.S. classic if you want to look it up). But in some jurisdictions there are also “database rights” which restrict databases, separate from copyright (though there is lots of overlap in terms of what is covered, in particular where creativity thresholds for copyright are nearly nonexistent). The best known of such are the European Union’s “sui generis” database rights. Again, especially if you’re in Europe, you may want to make sure you have permission before publishing a database from some other entity. Obviously such restrictions aren’t the best way to grow an ecosystem of data driven journalism (nor are they good for society at large – social scientists and others told the EU they wouldn’t be before sui generis came about, and studies since have shown them to be right). Fortunately, as a publisher of a database, you can remove such restrictions from the database (assuming it doesn’t have elements that you don’t have permission to grant further permissions around), essentially by granting permission in advance. You can do this by releasing your database under a public license or public domain dedication — just as many programmers release their code under a free and open source license, so that others can build on their code (as data driven journalism often involves code, not just data, of course you should release your code too, so that your data collection and analysis are reproducible). There are lots of reasons for opening up your data. For example, your audience might create new visualizations or applications with it that you can link to — as the Guardian do with their data visualization Flickr pool. Your datasets can be combined with other datasets to give you and your readers greater insight into a topic. Things that others do with your data might give you leads for new stories, or ideas for stories, or ideas for other data driven projects. And they will certainly bring you kudos. When one realises that releasing works under public licenses is a necessity, the question becomes: which license? That tricky question will frequently be answered by the project or community whose work you’re building on, or that you hope to contribute your work to – use the license they use. If you need to dig deeper, start from the set of licenses that are free and open – meaning that anyone has permission, for any use (attribution and sharing alike might be required). What the Free Software Definition and Open Source Definition do for software, the Open Knowledge Definition does for all other knowledge, including databases: define what makes a work open, and what open licenses allow users to do. Copyleft, reciprocal, or share-alike licenses; these also require that modified works, if published, be shared under the same license. Note if you’re using a dataset published by someone else under an open license, consider the above paragraph a very brief guide as to how to fulfil the conditions of that open license. The licenses you’re most likely to encounter, from Creative Commons, Open Data Commons, and various governments, usually feature a summary that will easily allow you to see what the substantial conditions are. Typically the license will be noted on a web page from which a dataset may be downloaded (or “scraped”, as of course web pages can contain datasets) or in a conspicuous place within the dataset itself, depending on format. This marking is what you should do as well, when you open up your datasets. Going back to the beginning, what if the dataset you need to obtain is still not available online, or behind a some kind of access control? Consider, in addition to asking for access yourself, asking for the data to be opened up for the world to reuse. You could give some pointers to some of the great things that can happen with their data if they do this. Sharing with the world might bring to mind that privacy and other considerations and regulations might come into play for some datasets. 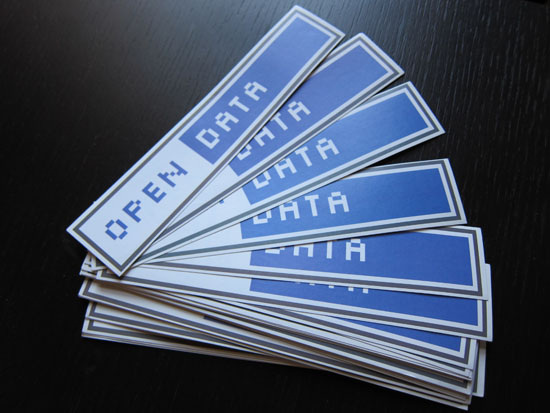 Indeed, just because open data lowers many technical and copyright and copyright-like barriers, doesn’t mean you don’t have to follow other applicable laws. But that’s as it always was, and there are tremendous resources and sometimes protections for journalists should your common sense indicate a need to investigate those. Good luck! But in all probability you’ll need more of it for other areas of your project than you’ll need for managing the (low) legal risks.